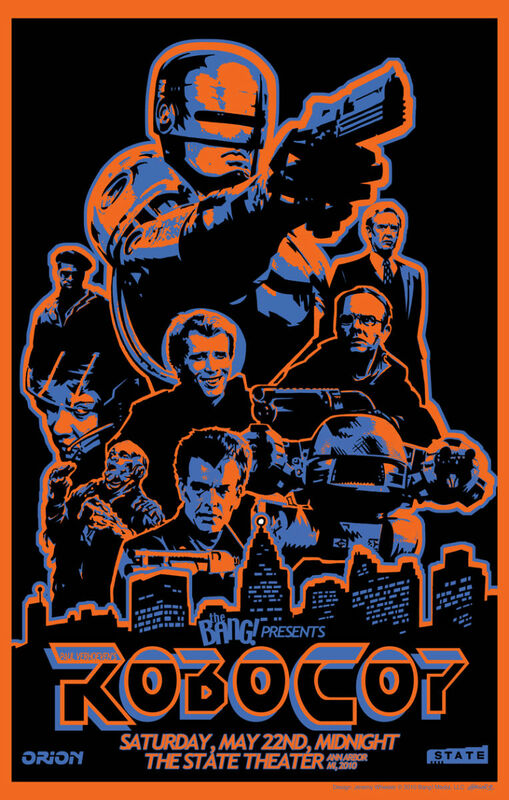 Created for a RoboCop showing at the State Theater in Ann Arbor, MI, this blacklight piece, printed by VGKIDS, started as a flocked print — and though successful — the experiments proved to be quite time consuming and the run was smaller than originally planned. A non-flocked version also created with a brighter yellow standing in for the original orange hue and a tagline taking place of the screening info at the bottom. Flocked version is extremely rare. Regular blacklight edition still available. Detailed making-of the print can be found on my Behance page.